Did you know that the word LASER is actually an acronym for "light amplification by stimulated emission of radiation"? What does that even mean? 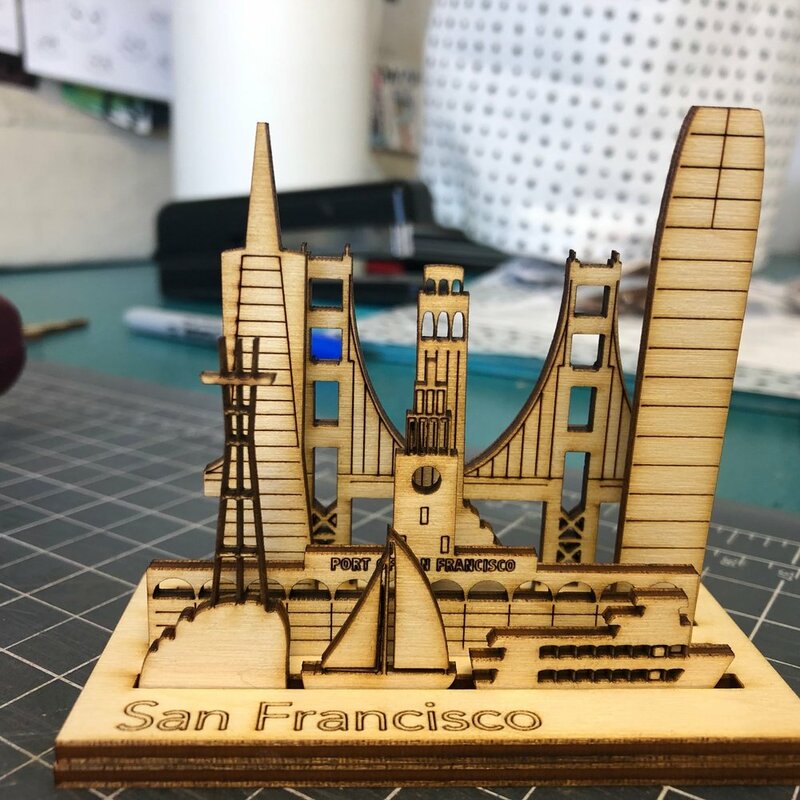 All we know is that the laser cuts through almost any porous organic material (think: wood, paper, fabric, felt, cork, foam, clay, chocolate, etc.) like buttah. It also engraves on all of said materials AND on glass and metal. The laser can perform extremely precise cuts and engrave up to 600 dpi. So what I'm trying to say is: the sky is the limit when it comes to what this machine can do. Do you have an idea you'd like to see engraved? Do you have a shape you'd like to see cut? Do you have an idea of what a laser can do? Let's work on it together! Send an email to chelsea@snowma.de to get the conversation started.